So what would you do on a Sunday afternoon? Go for a leisurely walk? 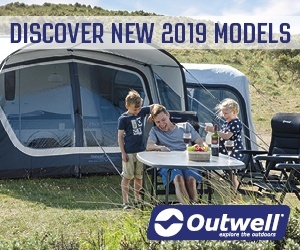 Spend time in the garden? How about paddling 7 miles across Wales’s largest lake with the wind in your face and towing some kids behind? No? What was expected to be a weekend camping whilst we had dry and warm weather in September, turned into a day canoeing, as our two eldest daughters were invited to separate sleepovers on Saturday night. Earlier in the week I saw that Go Canoeing had launched a 3 lake challenge, with one of the lakes being Bala in Wales, which is only 40 miles away from us. That’s Sunday sorted then! 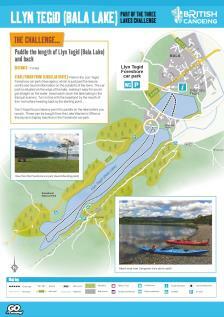 Bala, or Llyn Tegid as it is meant to be called, is the largest natural lake in Wales, and the Go Canoeing challenge is to paddle from one end to the other and back. The total distance is around 7 miles and expected to take between one and two and a half hours…..but that wasn’t quite our experience. You’ll find a lot of sailing and canoeing on Lake Bala. No powered craft are allowed (except for those with electric motors). At the town of Bala is the main foreshore for launching. 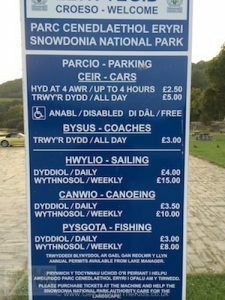 There are parking fees as well as fees to canoe in the lake. You can pay the fees at blue meters (one by the entrance and one by the changing rooms) but these require change. Alternatively you can pay at the office, however, on Sunday the office is closed. Fortunately for us there was a warden (look for someone in a fluorescent jacket), who was able to sort us out with tickets. Another place that can be good to put in is at Llangower, about 2 thirds of the way up the lake. This is a favourite spot of ours. It has a car park and WC, and is where the Bala Light Railway has a small station. Just the other side of the train tracks from the car park is a beach with a jetty. 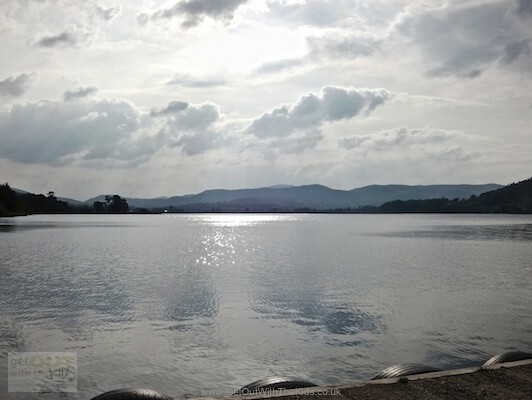 Lake Bala is a big lake. Perhaps not as big as some, but big enough to get weather. It’s located in a valley where wind comes down the mountains and hits the lake. You therefore need to check the weather and take sensible precautions. 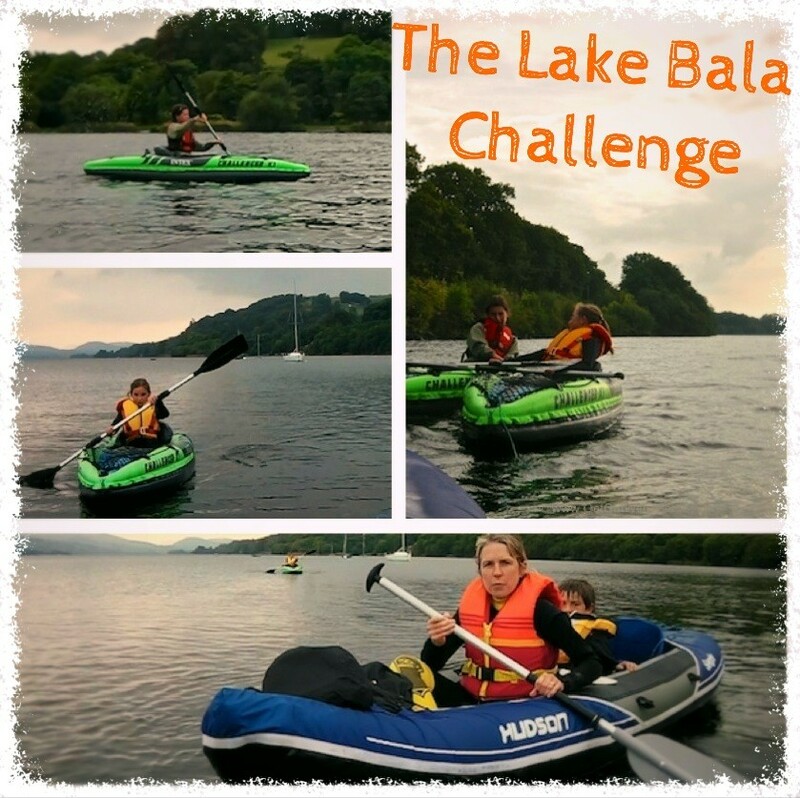 We were familiar with paddling on Bala, and knew what the wind can be like. That sunday afternoon conditions were very good. 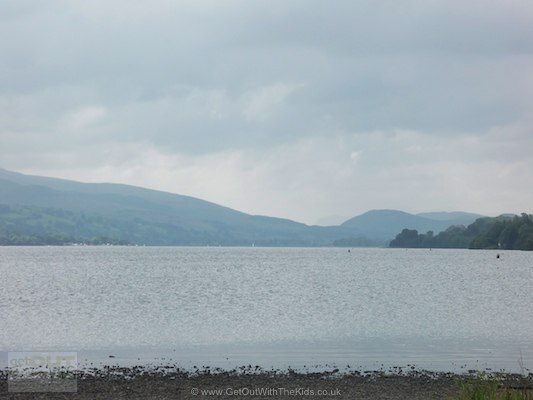 On the main foreshore of Lake Bala you can hire canoes. 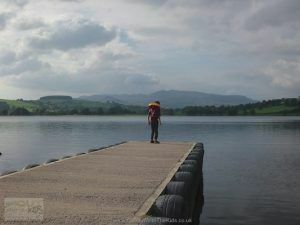 Given that our chosen craft are inflatable canoes, on a big lake known for being windy is perhaps not the best choice. We enquired about hiring some rigid craft. 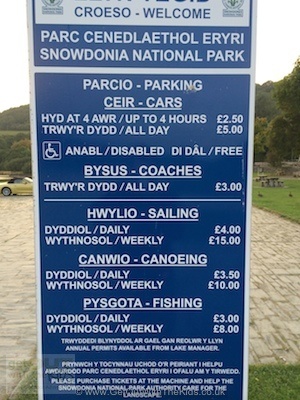 It was £45 a day for a canoe or a double kayak……but could only be paddled near the foreshore. Absolutely no good for our Go Canoeing challenge. Here’s a little video of our challenge attempt. After getting changed into our wet suits, inflating the two Intex Challengers and the Sevylor Hudson, we set off. The wind was behind us and pace was good, but then noticed a lot of water in the Hudson. Oops, the drainage hole had come open when we launched (yes, I did check it was closed). The Hudson will float fine with the drainage hole open, but since I was the heaviest, water was pooling around my seat. So we turned round, went back to the jetty, and started again. At14:26 we launched for the second time. When you stand on the foreshore you can’t really see the end of the lake. Now with the wind behind us, a route down the middle of the lake would have got us to the far side relatively quickly. However, not long after setting off, with two kids tired from their sleepovers, one of them decided they couldn’t carry on. This was something we had prepared for, and so ran a line from the back of the Hudson to her Challenger. Needless to say, towing another inflatable was like putting the brakes on. Straight down the middle of the lake is the most direct route. We hugged the shoreline, adding further distance to our challenge (not sure why!). Plus the camera’s memory card filled up, so time was spent removing old photos…. You may get the feeling we weren’t going to set a best time. Eventually we got to the other end of the lake. We paddled to the furthest point (a bit further than shown on the challenge map), but it was very shallow here, with the odd branch in the water. Inflatables and submersed branches isn’t a combination that goes well together. The plan was to stop for a small picnic at the end of the lake, but given the hazards in the water, we decided to paddle down to Llangower. This time the wind was right in our face. So was the waves. With the wind coming down the valley from the mountains in generally one direction, the waves have a chance to build over 3.5 miles. If you stop you go backwards! The trick with Bala though is to hug the shore on the return stretch (depending on the wind of course). There are lots of little headlands that can block some of the wind and waves, though there are points where you have to venture back into the main channel. Our eldest had done well, but in places where we were exposed to the wind and the waves, she wasn’t making much headway. The solution: she pontooned with the one we were already towing. That meant we were now facing into the waves and the wind, towing two inflatable canoes. There were plenty of moments on that journey where I was the only one paddling 5 people into wind across 3 inflatable craft! It was hard work. After few encouraging toots from the Bala light railway, we eventually we reached Llangower. Here the water is calm and still. The lake looks a perfect place for paddle. There’s actually a campsite here where you can stay and launch your boats from. See Pant Yr Onnon for more details.  The campsite is usually pretty busy, and you’ll always need to book in advance for summer weekends and bank holidays. 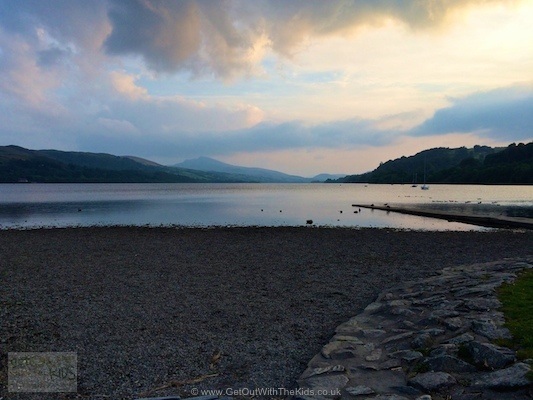 There are other campsites though around Bala, such as Pen y Bont. Refuelled but noticing the sun is now lower in the sky, we set off. All was great initially, but as we rounded the far end of the Pant Yr Onnon shore, the wind and waves hit us, pushing us back towards the beach. Time to pontoon the girls, and tow both of them in order to make headway. If you make a dash for the shore line you can get some shelter from the prevailing wind, but there are places like this when you need to paddle hard to get there. After a while the main Bala shoreline was visible in the distance. It was now getting later, and fortunately the wind dropped a little, as it tends to do in the evening, so we made a direct line for the shoreline, which was probably still over a mile away. With towing two canoes behind, this was a long slog. Finally, we got close and the wind and waves were less, and the girls wanted to finish the last bit themselves. Suddenly our canoe was flying through the water without the two boats behind, and we soon reached the shore. 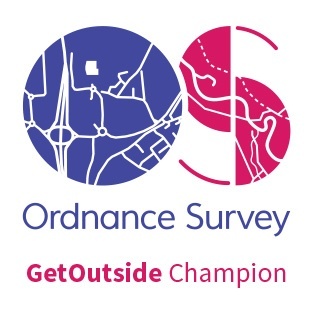 So, at 3 hours and 44 minutes, I don’t think we’ll be at the top of the Go Canoeing leader board, even if we took off the 15 minutes for the picnic at Llangower! There are toilets, showers, and changing rooms at the main Bala foreshore. BUT THEY CLOSE. We hadn’t seen any notices saying that they close, but by the time we put our gear away, the gents was locked, and the ladies was being cleaned and was “closed to the public”.